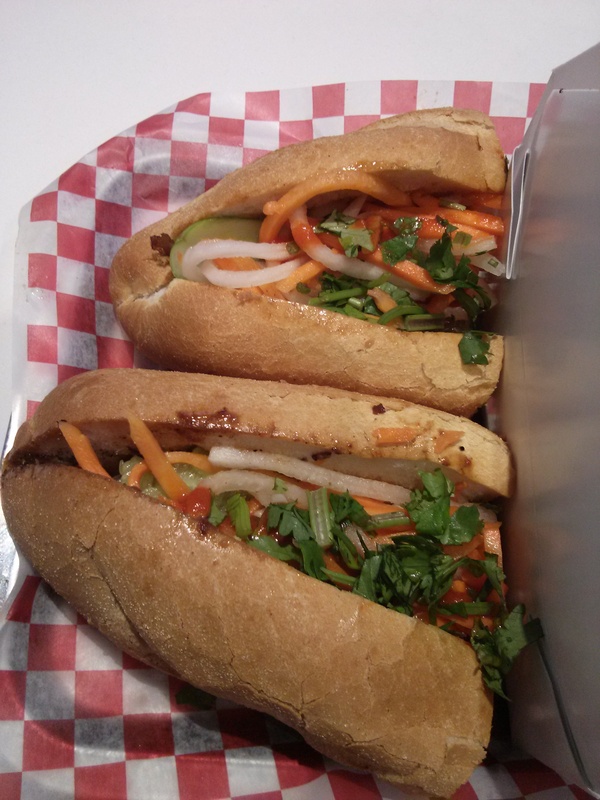 My friend and I went to Bahn Mi Boys for dinner this past Monday. 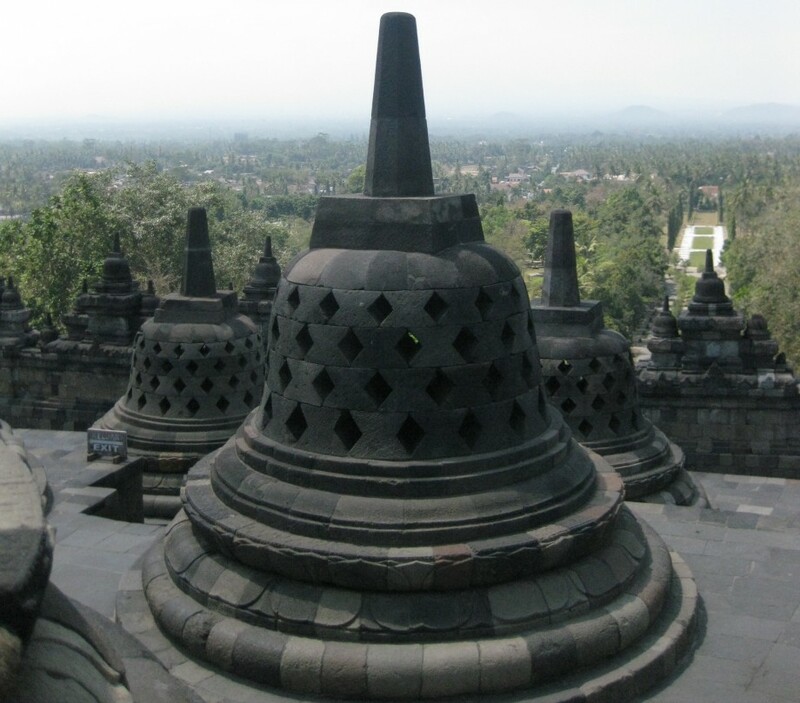 A university friend recommended this place to me. I’ve been here before with a high school friend who got the Five Spice Pork Belly Bahn Mi. The five spice pork belly bahn mi has braised pork belly, carrots, cilantro, pickled radish and house mayo. She liked it alot but she couldn’t finish it. My friend had the Grilled Chicken Bahn Mi ($5.49). 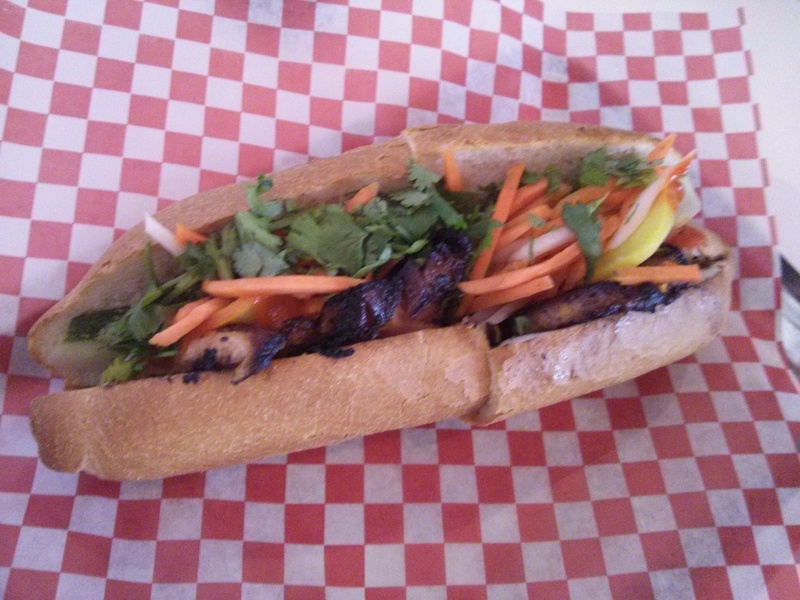 The grilled chicken bahn mi has grilled chicken with garlic soy, Asian BBQ sauce, carrots and cucumber. She liked it. 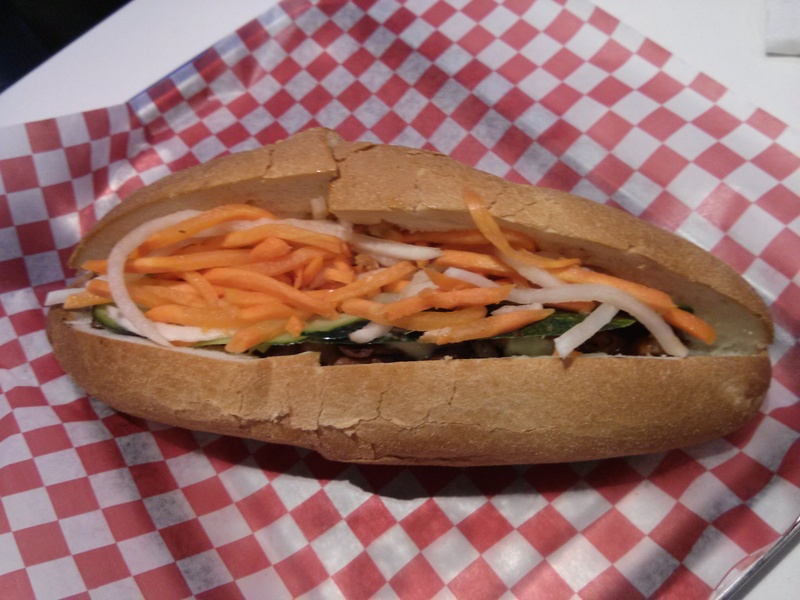 I had the Duck Confit Bahn Mi ($7.49). The duck confit bahn mi has braised duck leg with onion chutney, carrots, cilantro, cucumbers, and house mayo. It was delicious. I liked how the flavours combined together and that there was this non-spicy kick to it that reminded me of lemongrass and fish sauce. The duck was quite tender. I also ordered the kimchi fries ($5.99) for takeaway for Tuesday’s lunch. 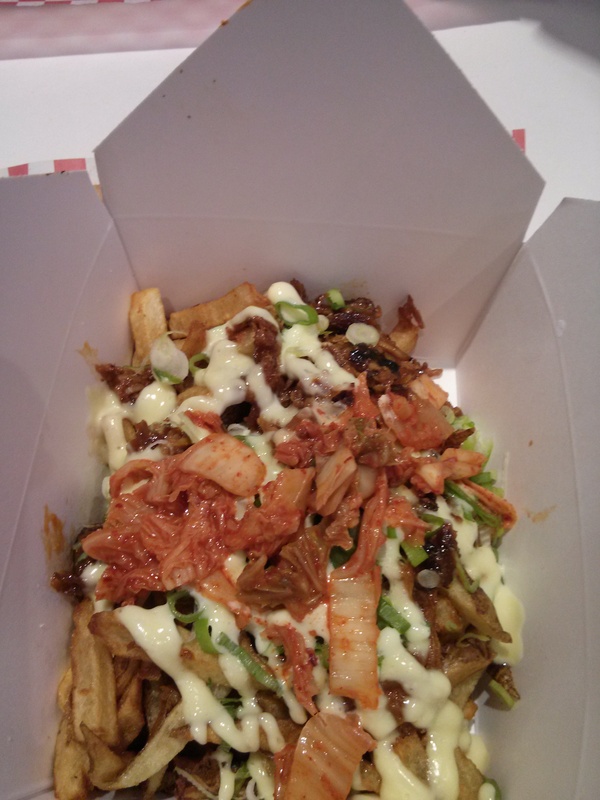 Kimchi fries are fries with kimchi, mayo, green onions and pulled pork on top. It was slightly too salty for me and there wasn’t enough kimchi on it but other than that it was very tasty. If you’re in Downtown Toronto and you’re craving Vietnamese food, then this is the perfect place to go to.